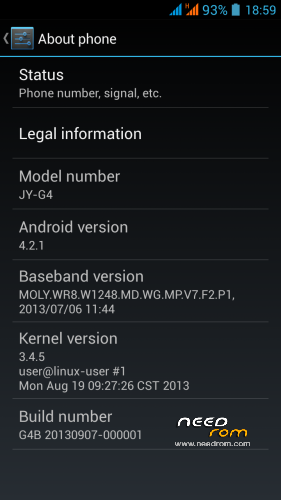 Jiayu G4b ROM, 2013/09/07. Complete changes on official page (in Spanish, use Google Translate). Multilingual. Has Gapps included and chinese apps removed. You can install from recovery/update, is not a Flashtool version. Copy zip on root sdcard, wipe data (factory reset), wipe cache then choose update from sd card. 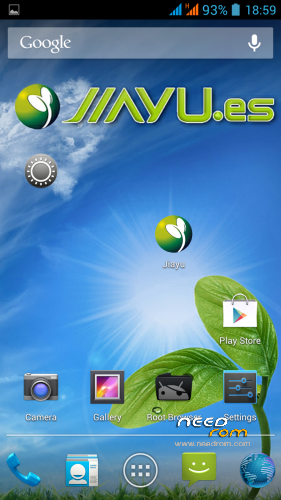 This is the new stable version of Jiayu.es, with some improvements. many notifications are still in spanish. correction, this is only true for the first boot, after reboot everything is in english. Does this rom supports Greek language? what do you mean with "Finaly fixed problem with 3G connection" ? Does the 3G connection network works ? This ROM is by far the best I have used so far. And I tried a lot of ROMS . Does this rom supports Polish language? Been using this for 2 days now, very nice rom. No problems encountered! Oh, there is a problem with one widget i use. It is called power toggles. You can toggle everything from a bar on your home screen. It does not want to toggle 3g/data connection. Everything else toggles just fine. I have not yet tried a ROM where this issue is not also present. Does this rom supports german language? does it need screen calibration? becouse in official rom there is rom that you need calibrate your screen for better performace. Is it working on the Thin Turbo version (1.5GHz, 1850mAh) ?